Diane von Fürstenberg is something of an obsession for me, along with Coco Chanel. Strong women who live life by their own rules are perennially on-trend in my book. In 1969, after marrying Prince Egon of Fürstenberg, the elder son of a German prince, Diane Halfin earned her von Fürstenberg title. She attributes her entry into the fashion world in 1970 as a by-product of becoming a wife, and with a $30,000 investment, she began designing women’s clothes. 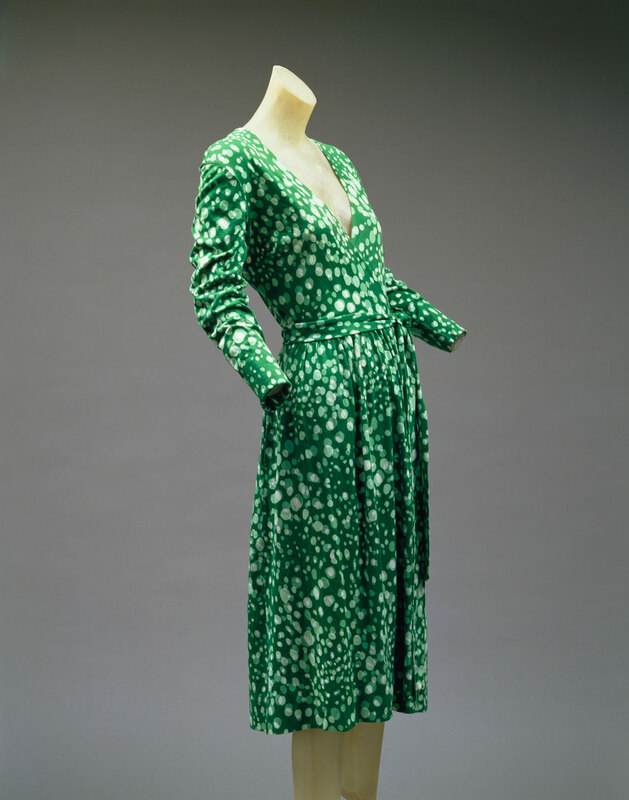 Her most iconic contribution to the fashion world is her knitted jersey “wrap dress,” introduced in 1973. The popularity of this dress design cannot be underestimated, and due to its significant influence on women’s fashion, it was admitted to the collection at the Costume Institute of the Metropolitan Museum of Art. Known for its flattering silhouette that works on a variety of women’s body types, as well as its ease of wear and care, the wrap dress remains as popular with today’s buyers as it was nearly 40 years ago when she launched the trend that would define her life’s work in fashion. Diane took time away from the fashion world but in 1997, after more than a decade, she successfully relaunched her high-end clothing line. In 2005, the Council of Fashion Designers of America (CFDA) awarded her a lifetime achievement award, and in 2006 she was named CFDA president, a position she continues to hold today. Fashion reality show lovers may remember her from her guest judge appearance on Project Runway’s past seasons.